Rare Coins - What Is the Difference Between a Grade Rarity and a Mintage Rarity? How Can a Common Coin Be a Grade Rarity? When it comes to rare coins, there are two major types in today's market: grade rarities and mintage rarities. One of these types is solid gold, while the other might be a sucker's bet. Do you know which is which, and why? A coin which is rare because it has a low mintage relative to market demand for the coin. This must take into consideration the type of coin, the date and the mintmark combination. An otherwise common coin that is only rare in certain grades, such as current date U.S. cents or commemorative coins that are graded MS-70. Remember, coins that qualify for grade rarity must be graded by a third party grading service such as PCGS or NGC. Other grading services such as ANACS or ICG may give a lofty grade as MS-70, but the current coin market does not recognize these coin grading services as top-tier coin graders. A smart coin collector might look at these definitions and think, "What is there to consider? There is really only one type of rare coin, the mintage rarity. End of discussion." However, in this day and age of slabbed coins and registry sets, people are paying absurd amounts of money for otherwise very, very common coins that are rare only because they are in a PCGS or NGC holder that has a very high grade on it. Are such investments wise? Let's look at an example. 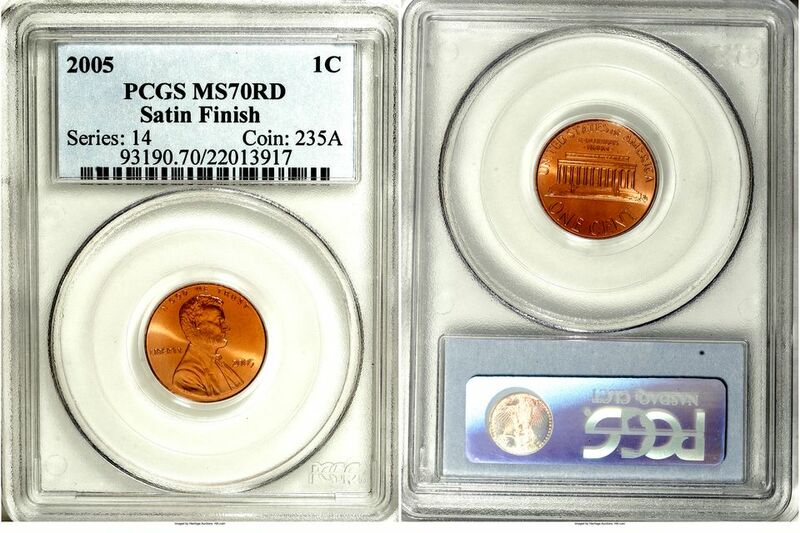 In January of 2008, a 2003 U.S. Lincoln Cent minted at Philadelphia was graded by PCGS at MS-70. Soon thereafter, it sold at auction for $15,000.00. The overall mintage for the 2003 (Philadelphia) Lincoln Cent is 3,300,000,000 (3.3 billion) coins. This coin is worth $15k because it is the only one of those 3.3 billion 2003-P pennies to grade a perfect MS-70. Even if current market conditions (read "fads") have driven up the prices of certain grade rarities, the fact is that these coins do not have low mintages and are not really rare themselves. They are rare only because PCGS has only put one coin of its grade in their holders. Although registry sets are hot right now in this boom coin market, if the economy goes sour and fewer people can afford to compete in registry sets (or worse yet, the registry set fad dies out altogether,) will the "grade rarities" have any value then, when the demand has evaporated? Additionally, other collectors can submit their coins to the third party grading companies. If several of them achieve the lofty grade of MS-70, then the increased supply of them on the market will greatly drive down the price. Then your rare coin will no longer be "rare." When people talked about "rare coins" a decade ago, they generally meant "mintage rarities." About the only exceptions are coins that are known to have high mintages for their type (and current market demand) but where relatively few examples have survived. Then you have some examples that seem to oppose the rule, such as the 1950-D Jefferson Nickel, which has a low mintage but is cheap and abundant today because the rarity was known back when the coin was issued, so they were widely hoarded in higher grades. Overall, though, the coins which have gone up in value the most over time have been key coins in high grades. (Key coins are generally the lowest mintage coins of any given series.) A coin with a mintage of 3.3 billion will probably never be a key coin, certainly not in the lifetimes of anybody alive today! Now that you know the difference between a mintage rarity and a grade rarity, you need to make the judgment regarding whether you think your money is better spent (or invested, if that's your goal) in genuinely rare coins based on their mintage, or artificially rare coins based on current fads. Mintage rarities have demonstrated their strong upward potential over a long period of time, whereas grade rarities are based almost entirely on current fads and the plastic they're housed in. Which rare coin type sounds like the more solid choice to you?